Thirty Minute Thoughts: Eating Up That Budget: What to Do About Food? I'm just finishing up our budget for May. Stace and I had a good, but challenging conversation about one particular line item in our budget that always seems to present problems for us: food. We both like to eat, which I think is a good thing. We have a modest restaurant budget and go out on occasion, but the part that always gets us is groceries. Admittedly, we go over every month. We aren't crazy food snobs, though I respect all those folk who post their organic, farm-raised, chicken made sous vide on Instagram. We do, however, like foods with fewer additives, fresh produce, and higher quality meats; we are, in fact, Millennials and have as one of our highest priorities fitting into that stereotype. Remember, I'm the one who typically sets the budget, though we do have "conversations" around it. Tonight we were at an impasse and didn't really know which direction to go. You may find yourself in the same spot as us if you haven't already. Whether you budget or not, you most likely know that the largest personal expense you most likely have after housing (and perhaps debt payments) is food. 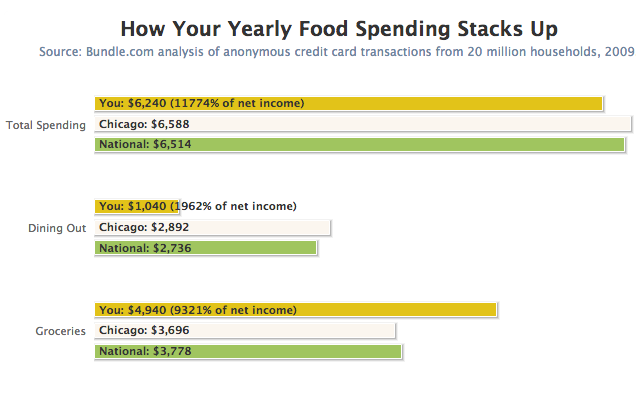 Now, if you are just starting to budget, you will also most likely be surprised just how much you do spend on food! Crazy, right? Though it's not the largest expense, it proves to be much more challenging to manage than housing because it's not predictable. The bottom line is you have to eat food to live, but you have a wide range of choices as to how you will accomplish that magnificent reality. 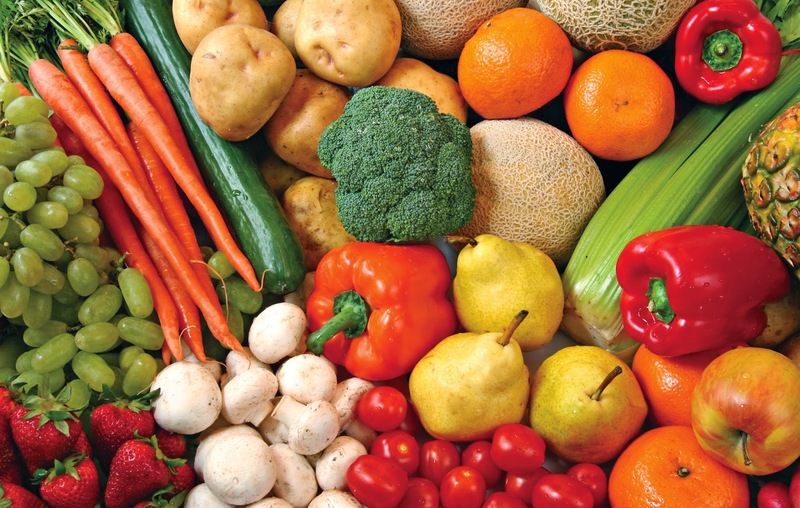 Additionally, the changes in food costs can have an impact. I thought it might be helpful to share with you what we decided to do and point you in the direction of some aides as you start to control your money instead of it controlling you. This is going to look different for everyone. You might be the frugal single person who's been convinced that manna is just the Old Hebrew bible word for ramen. Some of you believe you are actually a reincarnated founder of Portland, summoning all the foodiness of that city, naming your food and making sure that it's treated more humanely than most humans. You might be a newlywed couple, both of whom just have hourly jobs at Starbucks, or a family of six. You might love to eat out a lot or just once or twice a month. The two factors to take into consideration are really 1) what kind of food do we think is best for us? and 2) how big is our family? Percentage of budget: Dave Ramsey gives quite a big range of 5-15% for food, which includes both groceries and restaurants. In the article I read, it can range from 9-14%. If you are using the new EveryDollar app provided by Dave Ramsey, you will be able to see the percentage calculation of your planned food budget, which I found convenient. Compare yourself: There are actually quite a few resources out there that allow you to compare yourself and your situation with the rest of the country. An older article in Mother Jones allows you to enter in your information in a calculator, which then spits out some results for you as an individual, comparing you to others in the country and your area. Additionally, here's a handy table that shows the average spending in major metropolitan areas. Lastly, the one I found to be most helpful was from the USDA, which comes out with a monthly food cost chart for groceries, based both on family size and four cost plans, which tend to be based on the type of food you buy. So, for example, in March 2015, a family of four with a thrifty plan could be between $563.90-$648.00 while a liberal plan could be $1102.50-$1287.80. These numbers were a bit shocking at first glance, but again, aren't you a bit shocked once you start tracking your food costs just how much you spend? With both the percentage of our monthly budget and the USDA chart provided, I decided tonight to increase our food budget and adjust some other items instead. You got any other tips or tricks or hacks or recipes??? *On a side note, Americans spend a ton more than I realized eating out. JAM.